There is only one Museum in the Municipality. This establishment may not be the largest or most popular one in the Province but it has the best curator in all of the Cordilleras. 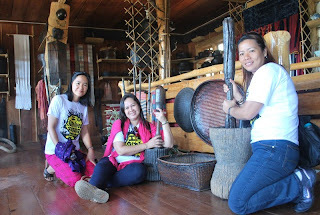 A visitor in this museum will be shocked to discover Sagada’s culture through her voice. It is owned and maintained by Mrs. Christina Aben. The establishment is found at Poblacion near the Bus terminal.